A young Guatemalan girl who died after she and her father were detained by U.S. border agents was in no medical distress when they arrived and had received adequate food and water on their journey, relatives said on Saturday through representatives in Texas. News of the child's death, and suggestions that border officials ignored or overlooked a medical crisis, added to criticism from migrant advocates and congressional Democrats of U.S. President Donald Trump's hard-line immigration policies. Ruben Garcia, director of the Annunciation House shelter, said the girl's father, Nery Caal, 29, told him he had no inkling his daughter was ill when they arrived by bus with dozens of other migrants at the U.S. border in Antelope Wells, N.M., on the night of Dec. 6. Garcia also said the father agreed with the U.S. Customs and Border Protection (CBP) account of the father and daughter's brief detention, including CBP's assertion there was no indication that the girl had been suffering from any medical problem until several hours after their arrival. "Jakelin had not been crossing the desert for days," her family wrote in the English-language statement, which Garcia said was prepared by their attorneys. "She and her father sought asylum from Border Patrol as soon as they crossed the border," the statement said. "She had not suffered from a lack of water or food prior to approaching the border." According to CBP's account, the girl and her father also had access to water and restrooms during the seven hours they waited to board a CBP bus that would take them early on Dec. 7 from Antelope Wells to another Border Patrol station at Lordsburg, about 153 km away. Although the father did not contest CBP's chronology of events, the family's statement called for "an objective and thorough investigation ... within nationally recognized standards for the arrest and custody of children." The family did fault CBP for relying on interview forms printed in English, a language the father did not understand. The family's native tongue is Q'eqchi', a Mayan dialect, with Spanish being their second language. The girl's mother, Claudia Maquin, told Reuters on Saturday in the family's home village of San Antonio de Cortez in central Guatemala that her spouse and daughter were among thousands of migrants seeking to escape "the extreme poverty that we live in." The couple have three remaining children. 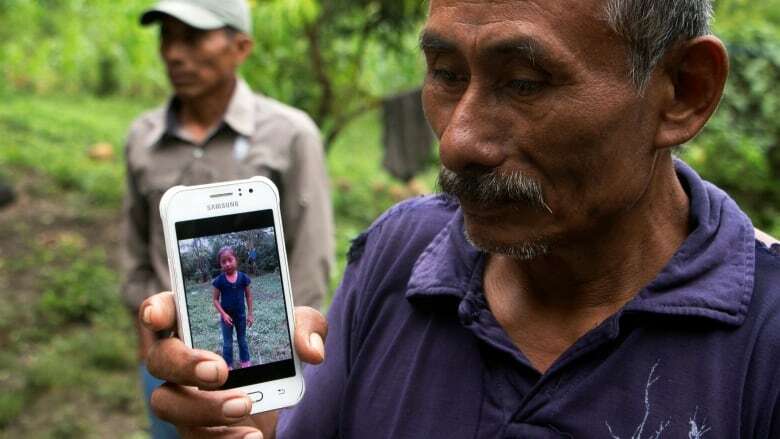 But Jakelin's grandfather said the 7-year-old and her father had an especially close bond. The U.S. Department of Homeland Security's office of inspector general vowed to conduct an inquiry. Democrats on Capitol Hill want that probe to examine why Congress was not informed of the incident within 24 hours, as they said is required of any death in CBP custody.